Travel League II is the fourth step in TGP’s Junior Development Series and is intended to be an introduction to competitive golf. 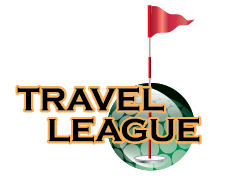 Travel League is geared toward young golfers who have demonstrated basic playing skills, a primary understanding of rules and etiquette, have previous golf course experience, and have an interest in competitive golf. Travel League golfers will be coached to be thoughtful students of the game while challenging their own abilities through well-intentioned practice. Students will have an understanding of their specific golf projects and how they can utilize various resources to properly measure their progress and experiences.